“Virtue is never so attractive as when we see it in action. How is it that a man who dedicated more than half of his life to serve the people who were sent to the Kalaupapa Peninsula (Kalawao Leprosarium)-44 years to be exact, not be as well known as Damien and Marianne? At age 43, he felt the call to help Fr. 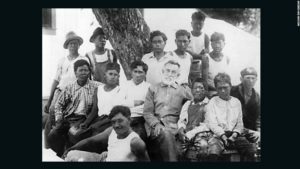 Damien and he gave away all of his possessions, boarded a steamship to Hawaii and arrived at Kalawao in July 1886. 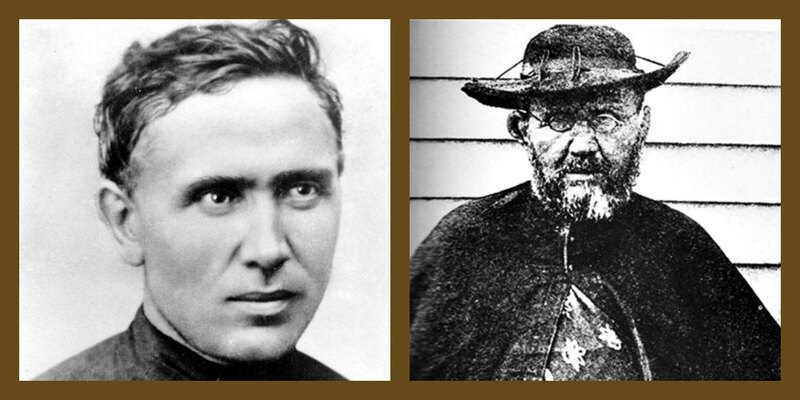 Without any request for recompense, he offered his help to Father Damien. For almost two years he worked side by side with Damien, helping with building projects and caring for the sick and suffering. Although Dutton has not been declared a Saint by way of Canonization, a more intense investigation has begun, according to the bishop of the Diocese of Honolulu, because three people — an Army psychiatrist, a priest-psychologist from New York State, and a priest of the Diocese of Honolulu —independently approached him to say that they thought Dutton should be proposed for sainthood. A cause does seem to be gathering, but it is not yet sufficient to meet the criteria of the Congregation for the Causes of Saints. Nothing has yet been submitted to Rome. If any readers have any relevant information about Dutton’s life or about devotion to him, they are invited to send it to: josephdutton@rcchawaii.org. Ira Barnes Dutton was born into a Protestant family in Stowe, Vermont on April 27, 1843 to Ezra Dutton and Abigail Barnes. When the American Civil War broke out Dutton enlisted in the Union Army, serving with distinction in the Quartermaster Corp of the 13th Wisconsin Infantry Regiment Infantry under Colonel Maurice Malooney. Even though his regiment saw little fighting during the war, Ira showed leadership and administrative skills. He had a gift for business. During the war Dutton married in 1866, but the relationship proved to be tragic, a shopaholic who left him broke, in 1867, she soon ran off with another man. Dutton seemed to hope she might return; he didn’t file divorce papers until 1881. The 1870 U.S. Census cites his home as Memphis and his employment as railroad clerk. He worked from 1875-1883 for the government, settling war claims. During much of this time Dutton drank heavily, which started to weigh on his conscience. He took a pledge to drink no more in 1876, and began to think of reparations for his misdeeds. But as he realized that he felt a need to do penance in his adult life, he began to see the Catholic Church as the ideal means of accomplishing that. He began to study the catechism. Dutton was baptized at St. Peter’s Church in Memphis on his 40th birthday. He was baptized by Dominican Fr. Joseph Kelly. He took the baptismal name of Joseph because of his great devotion to the foster father of the Lord. He soon began using Joseph as his given name as well. Although he is universally known as Brother Joseph Dutton, he never was a religious, remaining simply a layman for all his life. Fr. Damien began referring to him as “Brother Dutton,” and the name stuck. After being received into the Catholic Church, he stayed at the Trappist Abbey of Gethsemani, Kentucky, for almost two years. Ultimately, he decided he was called to an active, not a contemplative, vocation. Dutton traveled with a Redemptorist priest friend to New Orleans where, in a convent reading room, he discovered a Catholic newspaper’s account of Damien’s work on Molokai. “It was a new subject and attracted me wonderfully,” he wrote years later, according to Gavan Daws. “After weighing it for a while I became convinced that it would suit my wants — for labor, for a penitential life, and for seclusion as well as complete separation from scenes of all past experiences.” And: “Yet I was not looking to hide, exactly; it was a good deal the idea of ‘beginning again’.” He did have doubts, however, if he would be of use at the Molokai settlement. 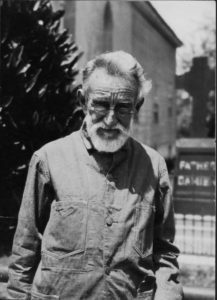 This led him to consult with Professor Charles Warren Stoddard of the University of Notre Dame, who had traveled to Molokai and met Damien, to see if his services would be of use there. Stoddard assured him they would be. Dutton’s decades there on Molokai involved more work than they did any real seclusion, as he bandaged, counseled, and instructed victims of leprosy, further improving their living conditions. Dutton managed the Baldwin Home for Boys, established in 1895 for the leprosy victims; the Brothers of the Sacred Heart also served there. Similarly, Mother Marianne and the Franciscan Sisters ran the Bishop Home for Girls. 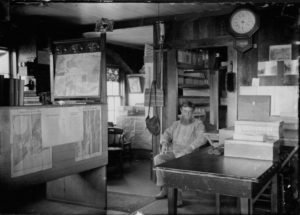 During Dutton’s years on Molokai, the patient population there hit its peak: The National Park Service web site (nps.gov/kala) says that it reached 1,100 people between 1888 and 1902 when the isolation laws were vigorously enforced. 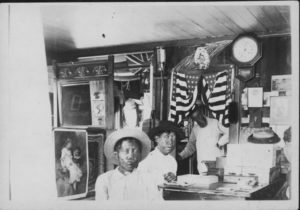 Conditions improved materially in the settlement after Hawaii became a U.S. territory in 1898. Dutton kept up a mountainous correspondence. His address book contained 4,000 names and bags of mail delivered to him at times weighed up to 50 pounds (according to the National Park Service web site). Dutton lived to be almost 88 years old, dying on March 26, 1931 in a hospital in Honolulu. In his four decades on Molokai, the only time he left was when his failing health forced him to go the hospital. Not long afterwards, in 1946, sulfone drugs came to Molokai and proved effective in treating Hansen’s disease. Hawaii’s isolation laws were not lifted until 1969. Brother Joseph Dutton is buried at St. Philomena Catholic Church Cemetery, Kalaupapa. That You will grant me this favor _________. Brother Joseph Dutton, please pray for me.